Its pretty funny now to look back at my younger self and see myself scrubbing my face everyday with one measly little face wipe thinking that was going to benefit my skin in anyway. Quite frankly there was no wonder my skin was so terrible and my acne never got any better. I'm very happy and lucky now that I have access to trying so many incredible skincare products that I would never dreamt of using or probably even thought about. However, I now seem a little bit obsessed with all things skincare and washing my face after a long day or a night shift is one of the things I love doing most. This could mean I have an incredibly boring life (which I don't think I do) or it could mean that the products I get to use make me so excited that it has now become a highlight of my day. Blogging is crazy really, never do you think in your wildest dreams that companies would be contacting you from the same town, even the same country but definitely not worldwide. Kind of crazy really but it just shows the power of the internet and how far your name can travel. 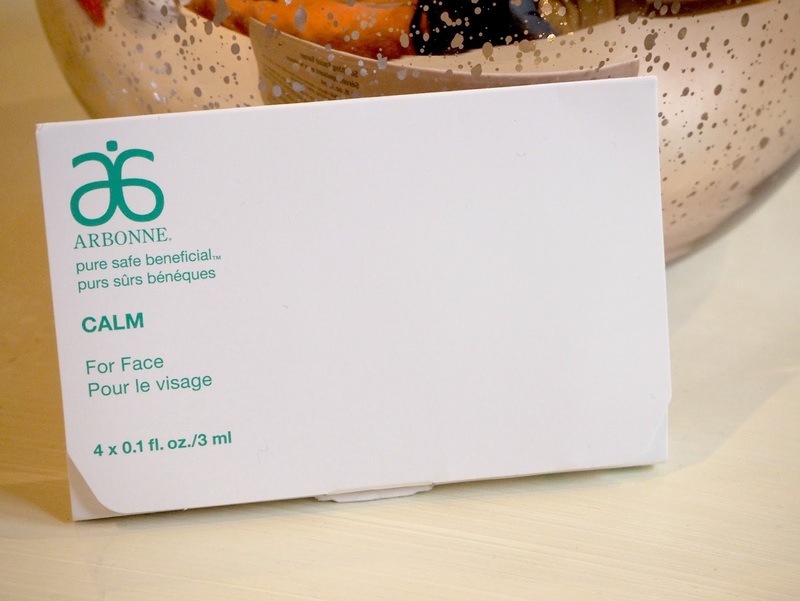 Recently I was contacted by the lovely Christina from Canada who offered me the opportunity to review some skincare products, she asked me what kind of skin I have and therefore catered the products to my skin type which she got air mailed over to the UK for me! So the products I got sent were some mini samples of the calming range which allowed me the opportunity to give them a little go and see what they were like as a one off. The set included a daily cleanser, a facial serum, a soothing eye gel and a daily moisturiser. Usually when I am just doing my average skincare routine I miss out a few of these steps and go for say a facial cleanse and a moisturiser but may miss out the eye gel and serum, which is usually the case. I am very glad that Arbonne gave me the opportunity to do all 4 of these steps in one go and see what I have been missing really, which apparently is a lot ha!! Anyway, the range was incredible .. smells very fresh and un-perfumed which is what you want in a product which does what it says on the tin really, and has no distractions from what it is supposed to do. 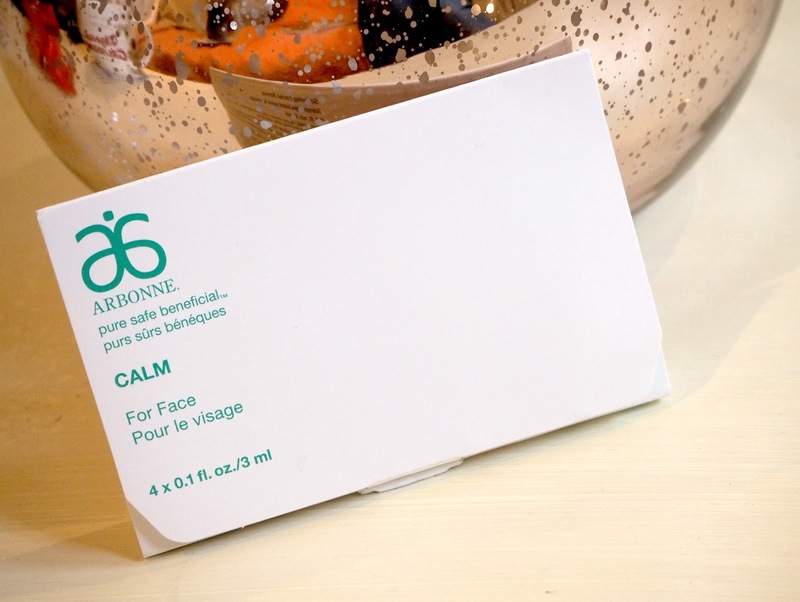 I opted for the calm range because I mentioned to Christina that I have got quite sensitive skin at the present time and wanted something which would work but obviously not be too harsh. Again, it was beneficial that this was un-perfumed as there was no element which would irritate my skin further. After doing each of these steps I found my skin to be absolutely insanely soft which was a huge difference from the dryness I had been having to deal with some time. Also around this time I had an allergic reaction to a product I had used which left my skin feeling extremely bobbley, which I had never ever had before. So obviously to feel my skin this soft was an added bonus on this occasion. I definitely recommend going over to the website (which I will leave below) and check out their other ranges for your own individual skin type and see what you can find! They also have a lot more than skincare too, like make up etc so I would definitely recommend you go over and see what they have to offer! !